To add to the double bed, enjoy a comfortable sofa bed in the junior suite. 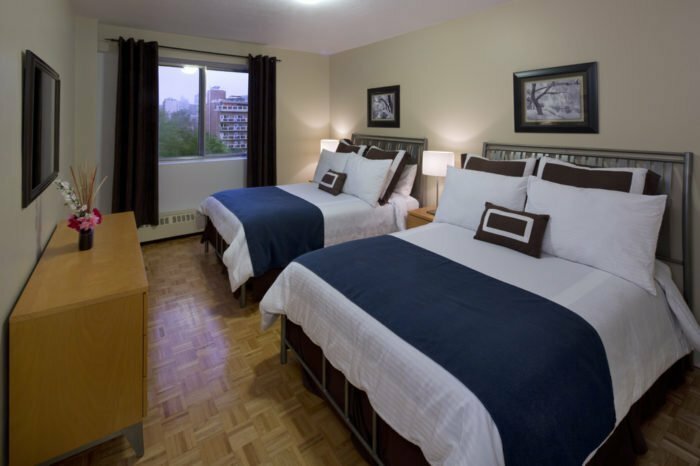 The kitchen, the TV, the free Wi-Fi connexion and all basic equipment are also included. 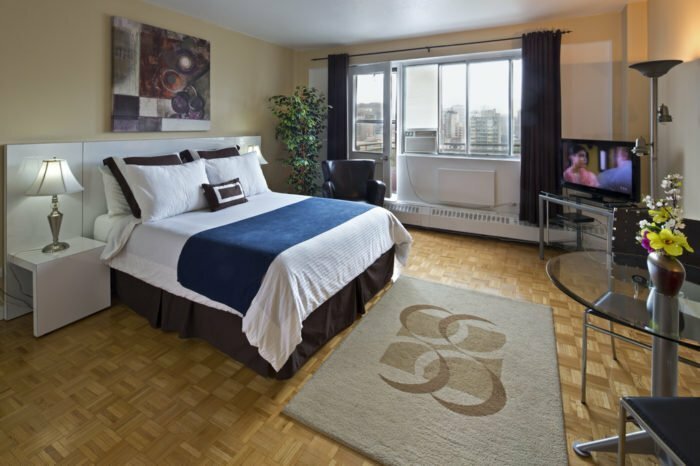 Slightly more spacious than our studios, enjoy a warm interior design and admire the unique view on downtown Montreal from your private balcony. Bed is full size and has superior quality bed sheets. The sofa-bed in the junior suite allows you to have one extra person. It’s the logical choice for a family of three. You’ll have access to all the equipment needed to cook as well as a dining table to enjoy your meal. 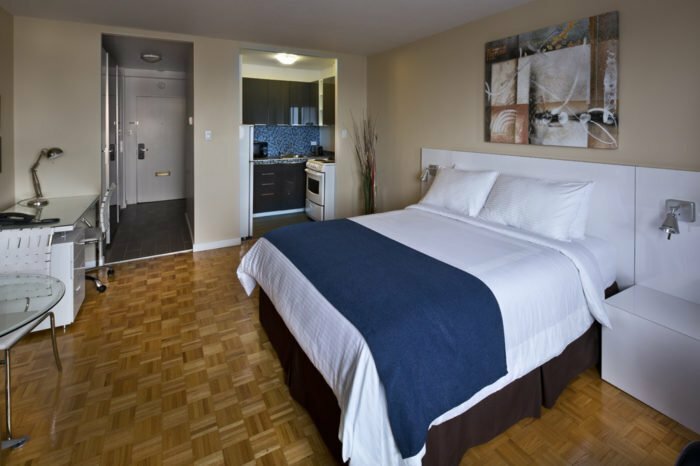 You can find towels, toilet paper, shampoo, conditioner and shower gel in the private bathroom. In addition to the shower, a bath is available to decompress. Every studio possesses air conditioning to fight off summer heat. Domestic animals are allowed on demand in every apartment. We remind you that Trylon is a non-smoking apartment hotel. Cleaning is not included is the price, but you can include it by checking the box in the reservation platform. You can also find a paying parking in the building.